The only reason the Spurs lost the 2013 Finals is because the rules dictate that only one team can be crowned champions. That’s really all it came down to. These two teams play seven games. Miami won four, San Antonio won three. For the series, the total net scoring margin was five points. In favor of the Spurs. This was the most evenly-matched series I’ve ever seen. Ever. Full stop. The Spurs did everything necessary to win the title, they were just on the wrong end of some of the flukiest plays in recent memory. There isn’t a reasonable person on the planet that can say that the seven games of the 2013 NBA Finals proved beyond a shadow of a doubt that one team was better than the other. It might not have been the best series ever. Both teams trading blowout wins back and forth for four straight games may, in retrospect, put a damper on how the series is seen a decade from now. But, in the same vein, what does it say when the two teams in question are so good at what they do that they can generate 40- or 50-point turnarounds within a span of two days? There’s no way for me to discuss this series, these playoffs, this season, without sounding like a 12-year old girl writing a love note to her crush. This series epitomized everything that I love about basketball, and the NBA specifically. Two teams and two coaching staffs that were so evenly matched that during the second half of Game 7, I honestly felt like the old NCAA Football model, with a possibility for split national champions, seemed reasonable. Two teams that were so finely-tuned that a routine adjustment could be the difference between a 10-point win and a 10-point loss. Two teams achieving the pinnacle of modern basketball. The last two times the NBA Finals went the full seven games were in 2010 (Lakers over Celtics) and 2005 (Spurs over Pistons). Those series more closely resembled Aussie-rules football than they did basketball. Those series’ weren’t decided at the point of attack, they were decided by which team could bludgeon the other in the paint and get away with it. 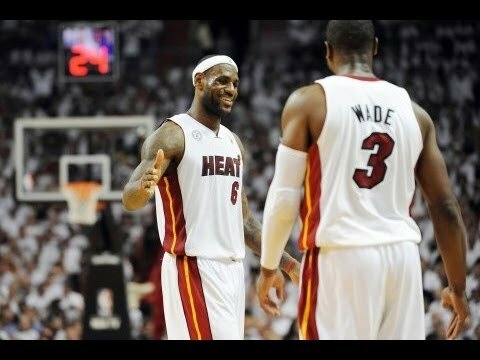 The 2013 Finals was basketball in its purest form. High pick-and-roll. Hedge. Ball reversal. Rotation. Attack. Rotation. Pass. Swarm. This season went so far beyond arbitrary scales like “talent” and asinine classifications about “best players.” Miami won the title because they had the right ball bounce in their direction at the right time. It’s that simple. Shane Battier banged that point home during the trophy ceremony. “It's better to be timely than good,” he told Doris Burke. Miami probably wasn’t any better than San Antonio, and if they were, it was by a margin small enough that you’d need an electron microscope to see it. But that doesn’t matter. Because the 2013 Finals weren’t about which team was better. It was about surrendering agency and letting the wizardry of the two teams overwhelm you. It was about not caring who won, instead enjoying the ride. It wasn’t about the narrative. It was about the experience. The 2013 NBA Season was about basketball. It was about Stephen Curry launching threes with less than an inch of daylight. It was about Chris Paul quarterbacking a high pick-and-roll with a surgeon’s precision. It was about Marc Gasol bumping cutters if they dared roam into his paint. It was about Andre Iguodala trapping, recovering, and rotating. It was about Tyson Chandler diving at the rim. It was about Danny Green roaming the baseline looking for an open corner. It was about LeBron James dominating on a level unmatched since Attila the Hun. Why do we care so much about crowning a champion? The reason we have a best-of-seven series is to (try to) identify the best team. But what if it turns out those seven games are woefully insufficient in providing that answer? It would be impossible for the 2013 Spurs to come any closer to winning a title without actually winning it. They deserve better. But that’s the way it works, unfortunately. Now the season is over. 129 days until basketball season.